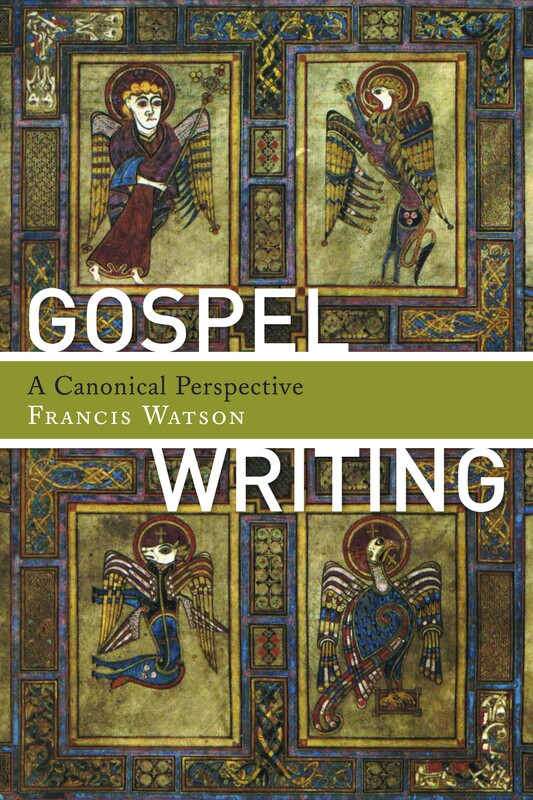 Recently I had the delightful opportunity to have a long chat with Professor Francis Watson (Durham University) about his stimulating new book, Gospel Writing: A Canonical Perspective. I would like to share that conversation with you through mostly summary with occasional quotes from particular statements Professor Watson (FW) made that I found especially rewarding or interesting. We started off our conversation with my question how did you come to be interested in the subject matter of the Synoptic Problem and the composition of the gospels? FW explained that, even as a student new to the Greek New Testament, he fell in love with Albert Huck’s Greek synopsis and found issues related to the interrelationship between the gospels fascinating. Fast-forward to FW’s years in Aberdeen, and he inherited a course on the gospels taught to first-year students. FW made it a point to include the study of, not only Matthew, Mark, Luke, and John, but also some of the non-canonical gospels. FW found that students welcomed engagement with these texts. He also mentioned his interest in Mark Goodacre’s The Case Against Q and how it prompted him to look at the Synoptics carefully and see how Luke may have worked from Matthew. While FW has been publishing a lot in Pauline studies in recent years, he has regularly published in the area of gospels studies and the canonical approach to biblical interpretation. Given that FW has been ruminating on this subject in publications for a number of years, I asked him if he has changed his mind on any important matters. In the main, he assured me he hadn’t, but I was intrigued by his whole approach to the maturity of thought and scholarly circumspection. If not Q, then What? Gospel Writing develops very carefully FW’s own theory, but he was kind enough to explain to me the key points. In the next post we continue the dialogue, focusing especially on this idea of gospel writing as interpretation and re-interpretation, as well as the benefits of the plurality of the fourfold gospel collection in the New Testament. FW’s insights into how Mt may have been first seen as an expanded Mk is intriguing and it makes me wonder what might have caused Mk to retain autonomy at all. Probably the tradition that it was associated with Peter? Quite possibly. It’s my understanding that the textual and citation evidence from the second century is sparse compared to the other three.